Zahraa is pursuing a master degree in media and communication studies, focusing on the representation of communities through media. She is currently working as media coordinator for the Lebanese women democratic gathering – RDFL, which is a feminist grassroots organisation working to advance gender equality through advocacy, networking and mobilisation efforts across Lebanon. In particular, Zahraa is also working on a national wide campaign to eliminate child marriage. Zahraa balances this by working as a freelance journalist focusing on women’s and social issues, and has been a member in the Lebanese women democratic gathering since 2014. In addition, Zahraa is a member of a young feminist collective working with women and girls to eliminate injustice. Zahraa is interested in addressing the rising rates of gender-based violence GBV. 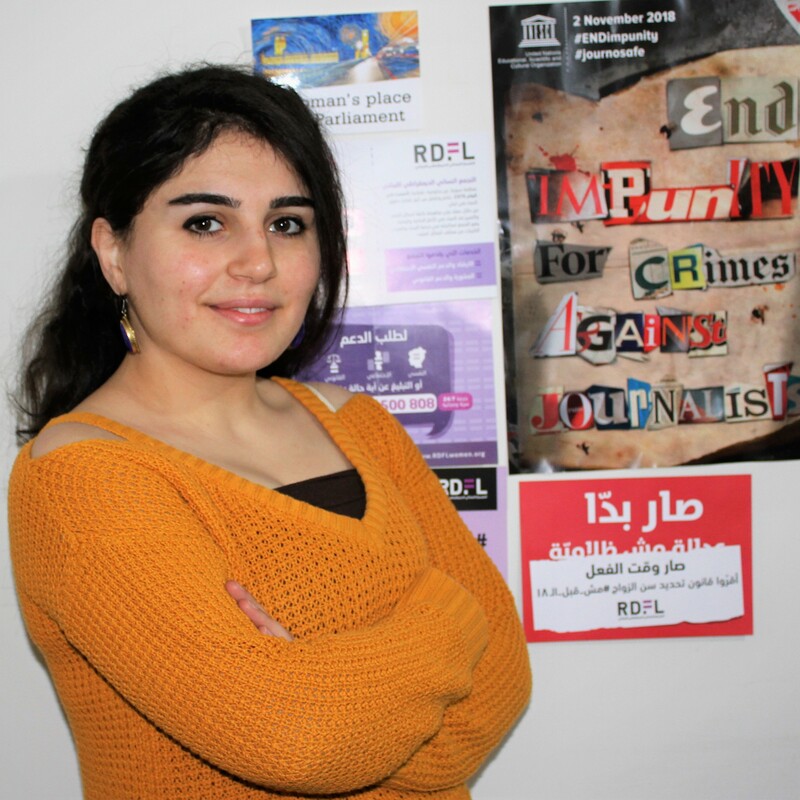 Beyond this, Zahraa is also focused on Gender Equality and advancing women’s rights. "The work that I’m doing is important because it contribute to the pressure being done in Lebanon to pass a civil law to protect women in Lebanon and to apply gender equality. My work should continue because women all around the world not only in the Middle East have been deprived of their natural rights and we have a long journey in changing the status quo of women in my region and to raise their voices. The importance of my responsibility I hold as a 25x25 is that with global and international support I can make an impact and I can create change through this strong global movement in my community."